The Rooppur project is the first initiative under an Indo-Russian deal to undertake atomic energy projects in third countries and India's first atomic energy venture abroad. This is the very first instance for India being involved in the construction of the Rooppur power plant in Bangladesh for which the first agreement was signed between Bangladesh and Russia in November 2011. 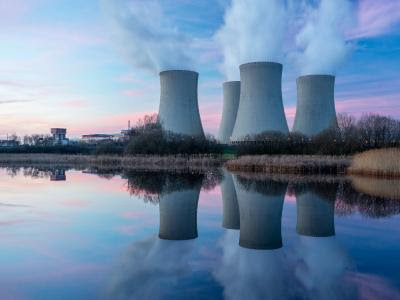 According to the signed agreement, Indian companies will be able to participate in the construction and installation works in the “non-critical” category for the Rooppur nuclear power plant in Bangladesh. As India is not a part of Nuclear Suppliers Group (NSG) therefore the nation cannot directly participate in building of atomic power reactors. India is also not a signatory to the Nuclear Non-Proliferation Treaty which New Delhi considers as “discriminatory”. The parties will cooperate in the field of personnel training, exchange of experience and consulting support. Russia is constructing two nuclear reactors with a capacity of 1,200 MW each in Rooppur, which will be Bangaladesh's first nuclear power project. The Russian side is building a nuclear power plant in Bangladesh on a "turnkey" basis, which means the contractor will complete the whole project and they will be liable for any problems that arise in the plant. The scope of work includes design, production and supply of equipment, construction, installation, start-up and commissioning. In December 2014, India and Russia signed 'Strategic Vision for Strengthening Cooperation in Peaceful Uses of Atomic Energy' to explore opportunities for sourcing materials, equipment and services from Indian industry for the construction of the Russian- designed nuclear power plants in third countries"
Which of the following countries is not a part of the agreement signed to build a an atomic energy plant at Rooppur? Where will India's first atomic energy venture abroad be built? Name India's first atomic energy venture located abroad.